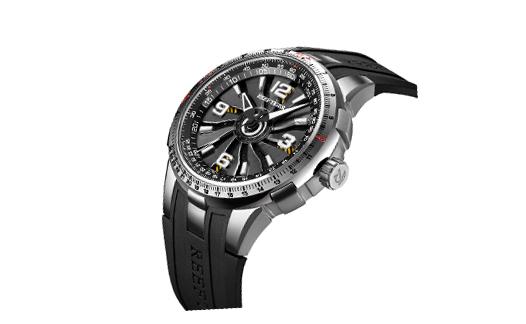 The Aurora Turbo series wrist watch is inspired by the engine’s operation principle. 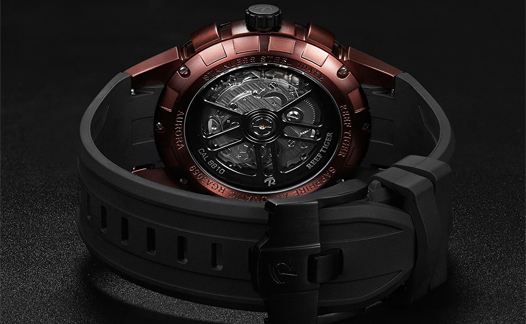 It shows the engine’s passion and speed with luminous, turbine rotation and mechanical quality, combined with the material from aircraft turbine, to create the extremely aggressive wrist watch. The sapphire glass with thickness of 9.3mm is scratch-resistant and wear-resistant. Feeling the passion of flying, at the same time it is quite safe and secured. Super luminous in the little space of the dial shows the effect of engine’s ignition moment. It seems to be ready to set sail from visual motion. The Turbo series dial is designed always with speed and passion. The cutting and shadow effect of turbine blades is skillfully cooperated with the blades, which shows speed and passion. The 44.5mm watch has a sharp angular shape, a tooth-shaped crown and a very strong case with a dynamic curved lug, which is close to the wrist. It is very comfortable and revealing. 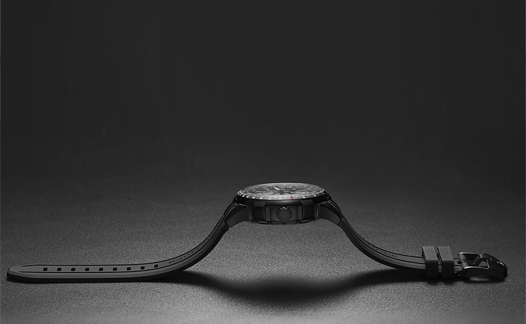 The rubber band is made by the natural rubber produced in Thailand, adds some security to the athletic Turbo wristwatch. The natural rubber imported from Thailand is dissolved by a high temperature at 500 degrees, brings soft and breathable wearing for users. It is well known that movement is the heart of the watch. The stability of the movement directly related to the life of the watch. 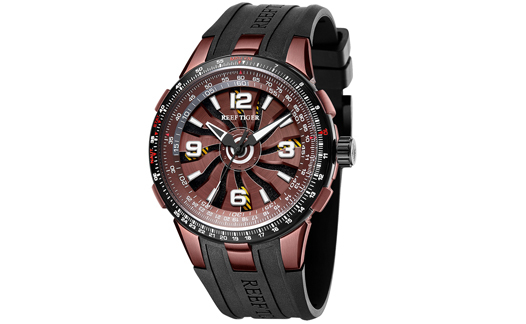 Reef Tiger innovatively make the excellent CAL.3900 movement. It is with 24 jewels and 21600 bpm to ensure the daily error rate is less than 10 seconds. 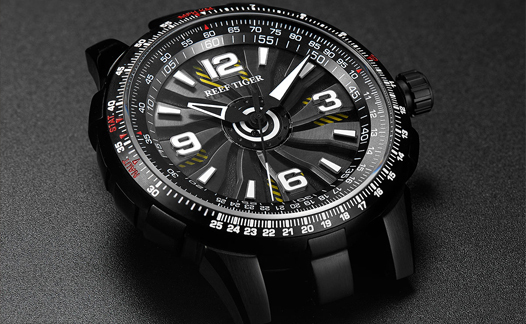 It is the core of Reef Tiger Swiss watch making process.